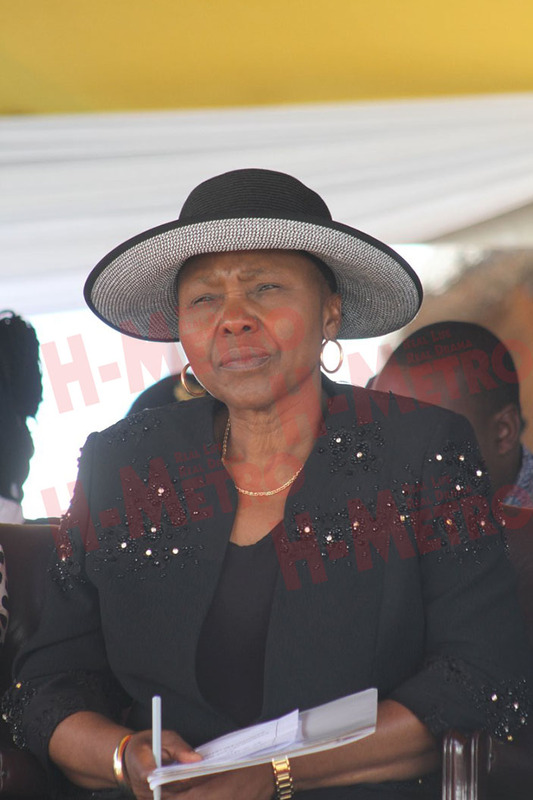 President Mnangangwa has urged Zimbabweans to emulate the late music icon Oliver ‘Tuku’ Mtukudzi in promoting peace and development in the country. 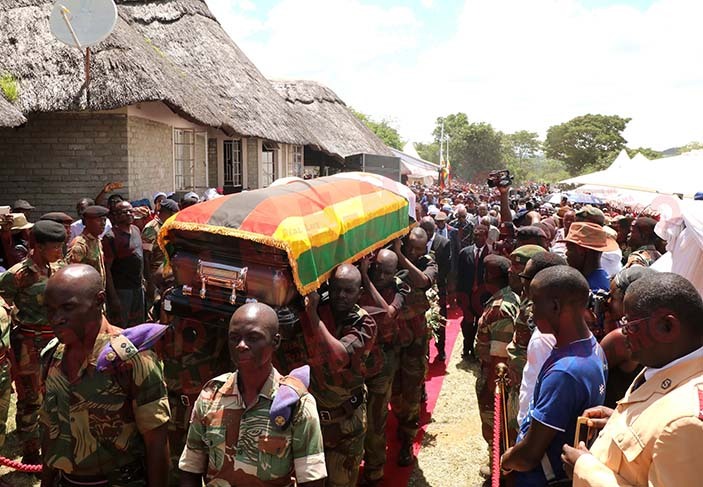 The President made the remarks in a speech read on his behalf by Defence Minister Oppah Muchinguri at the burial of Tuku at his homestead in Madziwa yesterday. Tuku, who succumbed to diabetes on January 23, was conferred with a national hero status. Tuku, President Mnangagwa said, had a desire to instil positivity into humanity. “We should take a leaf from this exemplary son of the soil. No matter where we go, what we achieve, let us be like Tuku, never despise or seek to harm our motherland. “We have only one country, one nation, one Zimbabwe. The lyrics of his songs like Hatidi Hondo, Hondo Hatidi, must be a constant reminder for us to live in peace, love and unity. “I therefore challenge us all to always seek to protect our country, Zimbabwe, to fly our national flag high in all we do, love our country and be patriotic towards it and in all we do develop and prosper our country and its people,” said President Mnangagwa. President Mnangagwa’s comments come after some disturbances in the country and he challenged artists to play a role in peace building. Tuku was declared a national hero with the President describing his music as something that cuts across generations. “… he produced duets with younger musicians, some of whom he nurtured at his Pakare Paye Arts Centre in Norton. “He was a mentor, counsellor, sponsor and advisor who kept connected to upcoming musicians. “He (Tuku) was an epitome of hunhu/ubuntu. His greatest gift to mankind, especially in Africa was humility, courtesy, thoughtfulness and care which he pushed for in his career and conversations. These are the qualities we should all uphold in our quest to modernise and transform our nation into a middle income economy by 2030,” said President Mnangagwa. The event was attended by cabinet ministers, legislators and diplomats among other dignitaries. Several musicians also turned up as Doves Funeral Services provided buses to ferry them.